CannaSmack Blue Dream SPF 15 Hemp Lip Balm is infused with premium cannabis sativa (hemp) seed oil and enhanced with blue berry flavor. Is it wrong I want to gobble my Cannasmack Blue DreM SPF15 hemp lip balm whole?! It tastes SO UNBELIEVABLY GOOD! I honestly rarely use a lip balm up, but can already tell that this is going to be the balm that is the exception to that rule! It glides on over my lips that due to our long winter practically cry out for moisture, smoothly and keeps them soft for ages. I love to layer the blue dream and the peach @happytokes lip balm for an even juicer flavour sensation! These are the perfect balms to take with you wherever you go and to share with friends and family! I can’t wait to own the entire line! Highly recommend and will be buying again! Bought this for my boyfriend but I tried it out.. it smells & tastes so good! I ordered the Blue Dream SPF15 Lip Balm for my boyfriend because he loves blue berry flavored candy & he loved this! 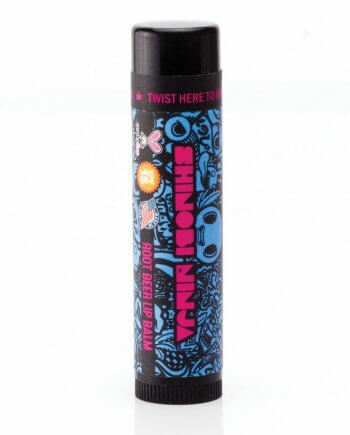 It smells & tastes delicious on your lips & it’s super moisturizing! It almost feels like it leaves a velvety feel to your lips! I couldn’t help myself I just had to try out his lip balm because it smelled so good on him! I can’t wait until we are able to buy more & have the whole collection! You definitely won’t regret trying out any Cannasmack lip balm products!! Why don’t blueberries taste as good as this chapstick?! Seriously I could eat this chapstick as gross as it sounds, but I can’t stop myself from licking my lips like crazy when I put on this flavor.